Be A Better Partner - One Fun Month at a Time! ​Improving relationships one FUN month at a time! Every month, you select a new theme to help you two focus on YOU TWO! Of course, we strongly recommend you buy our first book - available on Lulu, Amazon and Barnes & Noble - or as an e-book or for your Kindle (shameless promotion, we know). We're not therapists or rocket scientists - just a happily married couple who enjoys sharing what we've learned over the past 20+ years together! Check it out & tell us what you think! Be A Better Partner was founded by Lambs On Love, an organization devoted to relationship improvement and couple support. 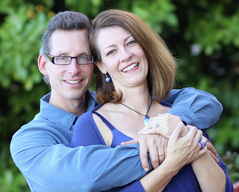 Lambs On Love is owned and operated by Paul & Debbie Lamb, happily together since 1995. For more about their story, click here. Our ipad/e-book and Kindle editions are now available exclusively at Amazon at a 20% discount for only $5.99 per download!!! What a great gift for your spouse - a gift that lasts all year long with a theme every month!